Edmonton and Brandon hooked up for a King sized deal today as Brandon loads up for the Memorial Cup, while Edmonton officially arrived in next year land. As expected, the Edmonton Oil Kings have begun to deal as the WHL trade deadline rapidly approaches. GM Bob Green has dealt forward Clayton Cumiskey to the Everett Silvertips in exchange for Edmonton Oilers draft pick Cameron Abney. Here is the official release from the Oil Kings and the Silvertips. A little while back I was asked to test out a product called Sports Performance Analyzer. It's a terrific tool for hockey teams who want an extra edge when it comes to their club tendencies and those of their opponents. SPA allows coaches to track a variety of different stats from shots on goal to turnovers. But unlike other stat programs available, SPA goes deeper than just the surface. For example, when it comes to shots on goal, you not only can easily track who took a shot, but where it came from on the ice, and where it ended up, by a simple click of the mouse. By using this method you can start to realize trends for your shooters or opposing goalies. You can track whether a shot went high glove side, hit the post, or missed the net entirely. Stats are divided into colors. Red for goals, blue for saves, black for missed shots and green for blocked shots. Power play and shorthanded situations can be used and stats are kept period by period. Face offs are followed by more than just wins and losses. There are clean wins and losses, but also if a player wins the draw but his team doesn't gain control of the puck. Turnovers, hits blocked shots and plus/minus are also easily recordable. All of this can be done by just one person, and while I was a little intimidated at first, after trying it for a couple of games it became pretty easy. What is also a neat feature is the white board, where coaches can explain set plays or the statistical story being told during the game. Sports Performance Analyzer is an interesting tool. One that is suited for high calibre teams or leagues. All past games are kept for future research, and information can be easily looked at in between periods for up to the minute game preparation. Starting in January, The Pipeline Show will be giving listeners a chance to win a free Sports Performance Analyzer software package, so keep listening, and for more information on the program, check out their website for a few new wrinkles to the program. The WHL responds to Paul Kelly Tonight. Last week former NHLPA head Paul Kelly stirred things up with his comments about the CHL. 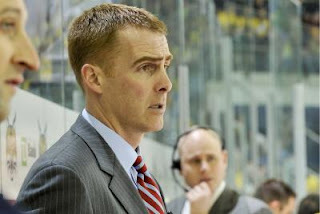 Kelly now works for College Hockey Inc and had some unflattering things to say about the CHL. After the interview we were contacted by the WHL who requested a chance to respond to Paul Kelly, so tonight Commish Ron Robison will join us. After that we'll dive into our CHL preview portion as we'll disect each country with the help of Brad Elliot Schlossman, Jamie Thomas and Sam Cosentino. As usual you can join the show by emailing us pipeup@theteam1260.com. You can listen live in Edmonton on the TEAM 1260 or online at www.thepipelineshow.com. The show airs from 7-9 PM MST. The winner of the 2010 World Junior Championship will be decided on January 5th in Saskatoon but it will be hard to match the drama that unfolded the last time 'Toon Town' hosted the event. Back in the days when it was only a round robin tournament, Canada won their first gold medal on home soil thanks to a late third period goal from a most unlikely source. Recently, The Pipeline Show spoke with the hero of the 1991 World Junior Championship. Team USA has made some cuts after their 4-2 win over the University of North Dakota on Saturday night. The 30-man tryout roster now stands at 24 players with some notable names having been dropped by USA Hockey this morning. 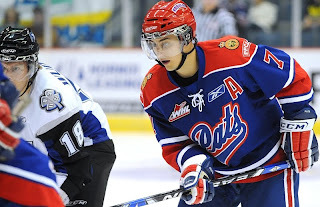 This road trip aside, things have been better than most expected for the Regina Pats this year. Until they went on their current 5 game losing skid, Regina was over .500 and challenging for a top 4 spot in the conference. While Canada has wrapped up their WJC camp and named it's 22-man roster, the American squad is opening their first ever 3-day December camp today in Grand Forks, North Dakota. 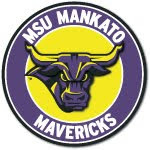 The 30-man camp features a plethora of talented players including 22 NHL drafted players and 5 others who will be eligible for that distinction for the first time in June of 2010. But will they be good enough to challenge for a medal let alone contend for the gold? Who Will Become Captain Canada? 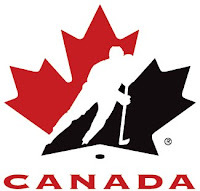 Now that the final roster is in place, the next question is who will Hockey Canada look to as the leadership group for the 2010 World Junior Championship. When you have a roster comprised of 22 leaders, it's probably a good problem to have and an easier decision to make. That said, it also makes guessing who will wear the letters might be more challenging too. 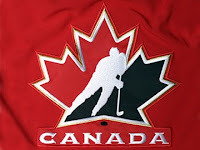 Hockey Canada has announced the final 22-man roster that will represent the country at the 2010 World Junior Championship. A number of talented players did not make the final cut and were released from the team earlier today and there were a couple of surprises. Here is the release from Hockey Canada. Paul Kelly was briefly in charge of directing NHL players as head of the NHLPA. He's now working for a league, and hoping to keep college hockey players in college instead of the growing trend that has mostly American players bolting their NCAA commitments for the CHL. 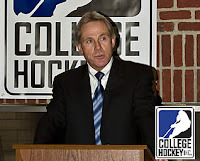 Kelly is now the Executive Director with College Hockey Inc.
Another player has seen his WJC dream fall short although this time it wasn't a decision made by Hockey Canada. According to TSN's Bob McKenzie, Brandon Wheat Kings forward Scott Glennie suffered a concussion last night in the final red/white game ending his hopes of playing for Canada at the WJC. Hockey Canada got out the cleaver on Tuesday and chopped 4 players from their camp roster. The team has played a pair of inter-squad games and will faceoff against a CIS All-Star team tonight that is comprised of members of the UofS Huskies and Regina Cougars. Unfortunately for four players, their WJC hopes have been cut short. Yesterday's 3-2 red/white game is in the books with the second match set for tonight. In preparation for the second go around, Hockey Canada has re-jigged the line combinations which has several teammates, past and present, finding themselves in familiar company. Oiler Prospects Sharing "Top Line"
As The Pipeline Show has speculated about for months now, Edmonton prospects Jordan Eberle and Philippe Cornet are starting Team Canada camp on the same line. As Dean mentioned last week, Eberle had told head coach Willie Desjardins about the past chemistry the two wingers have developed over the last few years and obviously he's listening to his star player. The holiday break is now on for many NCAA teams and for many perennial favorites they will use this time to regroup after horrible performances during the first half of the schedule. This weekend saw a number of stellar match ups, more upsets and a few blowouts too. Here is how the top 20 looked heading into the weekend schedule with the results from Friday and Saturday night. There has been a serious bus crash in Northern B.C. that has injured many members of a Major Midget hockey team. The bus carrying the Fraser Valley Bruins, a BC Major Midget team, from Abbotsford to a game in Prince George has gone off the road and down and embankment about an hour south of Williams Lake BC. Reports are that there are no casualties but that as many as 14 of 24 passengers have required medical attention for various degrees of injuries. The players are aged 15-17 years old. The Vancouver Sun has more details. With just 6 returning players, Hockey Canada will have plenty of tough decisions to make as to which players will wear the Maple Leaf and attempt to take home an unprecedented 6th consecutive gold medal. Hockey Canada has invited 36 players to Regina and all have a legitimate chance at claiming a spot on the team. All except Cody Hodgson who many expected to be named captain of the club. It was announced on Tuesday that Hodgson will not take part in the camp or the tournament itself and head scout Al Murray told listeners of The Pipeline Show on Tuesday that they will not bring in another player to take his camp spot. The WHL trade deadline is now just 5 weeks away and big names have started to move around the league as teams make their final roster alterations for the second half run. There aren't many teams that can be considered 'out of it' - perhaps only one in fact, but if they don't turn their season around in a hurry, the buzzards will start to circle the Oil Kings looking to pick the meat from their bones. I recently had a chance to speak with GM Bob Green and tried to take a pulse of the team. This morning Hockey Canada announced the 36 players they are inviting to it's training camp starting ten days from now in Regina. The list, which can be found here, includes 7 returning players from last year's squad that claimed a record tying 5th straight gold medal for Canada. The OHL leads the way with 12 players on the list, while the WHL and QMJHL each have 10. There are 3 NCAA players and apparently the St. Louis Blues will loan Alex Pietrangelo to the squad. 14 of the 36 players invited are first round picks, and the LA Kings top all NHL clubs with 5 prospects on the squad, while the Edmonton Oilers are 2nd with three. There are four 2010 draft eligible players attending camp. 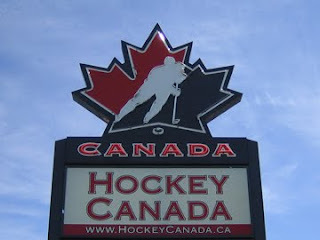 Recently I threw out some names that I thought would get consideration, and Hockey Canada agreed with 4 of my choices. The one that didn't get an invite is Prince George forward Brett Connolly(pictured) who has missed much of this season with hip injury. He did return in time to play Russia in the Super Series, and does have 4 points in the two games he played during the month of November. Oddly enough that's 3 more points than Sudbury's John McFarland had during the month. After notching 20 points in 12 games to start the year, McFarland put up just one in 10 November games. Unless he makes the jump to the NHL next year, Connolly will have another chance at Canada's team next year, as will goaltender Calvin Pickard who was edged out by Calgary's Martin Jones for one 4 pipemen spots. Head coach Willie Desjardins told me today that Connolly's lack of playing time played a big role in him being left off the roster. "I was really impressed with him, he's a smart player, and you can just tell he's a real good player. Last year when they came into Medicine Hat and he was 16, and was with Dana Tyrell, the two of them put on a great show." Ok, so here are the thoughts of TPS. The first thing that jumped out in Guy's mind was the absence of Boston Bruins first round pick and Denver Pioneer forward Joe Colborne. 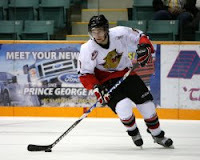 The former Camrose Kodiak had a 31 point campaign as a freshman last year and has 11 points in 12 games this year. By all reports his broken finger has healed as Jumbo Joe has 6 points in his last 4 games. What makes me scratch my head on this is that Harvard's Louis Leblanc did get an invite. Colborne plays a much tougher schedule with Denver than the Canadiens draft pick does with Harvard. He's a year older, and 5 inches taller. If you track these guys statistically, Leblanc has 9 points in 8 games this year, while he had 59 points in 60 games last year with Omaha of the USHL. Colborne meanwhile in his final season with Camrose had 90 points in 55 games and was named the Canadian Junior 'A' player of the year. 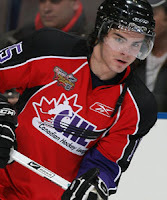 Along with Leblanc, Denver blueliner Patrick Wiercioch, and Minnesota Duluth rearguard Dylan Olsen (who was listed as playing with Camrose) made the grade from the college ranks. Ironically both have a connection to Colborne. Wiercioch plays with him now in Denver, while Olsen skated with him in Camrose. What I love about Canada's potential blueline is the beef. 5 guys tip the Toledos at over 200 pounds - Jared Cowen being the biggest at 226 lbs - and 4 more are a cheeseburger away from joining them. There are also 7 dmen that are 6.02 or taller with Cowen and Wiercioch being the sky scrapers at 6.05. But being big is only beneficial if you're mobile, and Canada has plenty of that as well. Starting with returnees Ryan Ellis and Alex Pietrangelo. 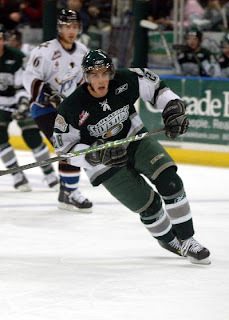 Newcomer Travis Hamonic of Moose Jaw combines both. It'll be interesting to see if 2010 prospect Brandon Gormley can outshine the likes of Nicolas Deslauriers from Rouyn-Noranda, Marco Scandella of Val d'Or or Shawn Lalonde for a roster spot. Of course there are a few guys I'm surprised that didn't make the cut. 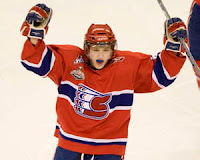 Michael Stone of Calgary leads all WHL dmen in goals with 13, he's also 6.04 and 217 pounds. Right behind him in points is Vancouver's Kevin Connauton and then Saskatoon's Stefan Elliot who will miss out on playing in his home arena. Elliot to me is a wonderful player, great skater and has played near flawless hockey when I've watched him. One of his greatest skills is getting the puck through from the point. "In different ways guys we left off the roster will be better than some players we have on the roster," said Desjardins on his way back to Medicine Hat this afternoon, "but with a team you need different role players, you need different types of players." Tyler Cuma is also an interesting absentee. Cuma was injured at last year's camp, where most thought he would have made the team. He also played with most of this group a the Ivan Hlinka and 2008 U18 World Championship, however a slow start for the Minnesota Wild first rounder likely did him in. But alas, the group Hockey Canada has assembled is pretty impressive. Up front if Brampton's Cody Hodgson is healthy enough to play he should be named captain and will likely form the basis of Canada's top line with Regina forward Jordan Eberle. Who will be the lucky left winger on that line? Rouyn-Noranda's Philippe Cornet might be a candidate. His 45 points in 30 games puts him 2nd in QMJHL scoring, and his Huskies Head Coach Andre Torigny is an assistant with Team Canada. Cornet also brings with him chemistry with Eberle. It started at the Ivan Hlinka tournament in 2007, continued in the 2008 Top Prospects game, then carried over to the past 2 NHL training camps, as both players are prospects of the Oilers. "It was interesting because I talked to Eberle today and he talked about Cornet and what a great camp he had with the Oilers and what a real good player he is, so those are certainly things we'll be taking into consideration when it comes down to making our lines" said Desjardins who admits to already thinking about combinations. Speaking of possible trios, if you watched the Subway Super Series on Rogers Sportsnet, you would have witnessed the "C" line when the QMJHL took on the Russians. Phillipe Cornet, Patrice Cormier and Jordan Caron combined for 5 points in 2 games. The three players all played in Rimouski last year and could get a look see from Desjardins when camp begins. When the series shifted to Ontario, the Spitfires combo went to work. Taylor Hall, Greg Nemisz and Adam Henrique skated together. Whatever the line combinations, Canada will have plenty of fire power to choose from with the likes of Wheat King duo Brayden Schenn and Scott Glennie, along with London's Nazem Kadri. One player who definitely used the Super Series as a springboard is Luke Adam of Cape Breton. The forward notched 5 points in 2 games, to go along with his 44 in 29 games during the regular season. He also brings nice size at 6.02 and 200 lbs. Adam might be a nice role player who can chip in offensively the way Brett Sonne and Jamie Benn played last year. Another guy who fits that bill is Cody Eakin of Swift Current. Eakin brings 25 goals in 29 games to the table and has a nice all around game. Guy and I both agree that the netminding tandem will likely be Montreal's Jake Allen as the #1, with Matt Hackett from Plymouth as the back up. As mentioned many times before, we can always second guess who Canada does and doesn't invite, but when it comes down to it, the job that Al Murray and his staff do is pretty impressive. If you don't believe me, maybe 5 straight gold medals would convince you. What were you surprised with from the roster? Earlier today USA Hockey released the names that make up their 29-player camp roster in advance of the 2010 World Junior Championship. It's a pretty cut and dried list but as always, there are a couple surprise names that appear on or were left off the team. 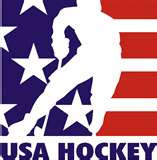 Here is the released list from USA Hockey. Everyone loves a Cinderella story. It's human nature to cheer for the underdog; Rocky Balboa, Rudy, Hoosiers, The Karate Kid... cinematic examples of the David VS Goliath story that can have the manliest of men leaking like a chick watching Titanic. Everyone loves a Cinderella story and yet... no one wants to be Cinderella. NCAA hockey has had its share lately. Air Force wore the glass slipper for much of last year while riding a lengthy undefeated streak. They passed the mantle on to Bemidji State who made it to their first Frozen Four before falling just short of their ultimate goal. There is no doubt that the feel good story through the first couple of months of the 2009-10 schedule can be found in the hockey hotbed of Connecticut. 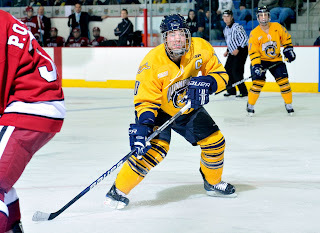 The Quinnipiac Bobcats, a program that has never had a losing season since during Division I back in 1999-2000, look poised to be headed to the ball this Spring. The Bobcats have never been ranked in the top 10 in the history of their program but that's something they changed last week when they came in 9th on the USCHO.com poll. 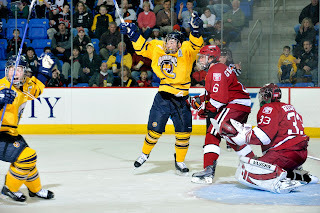 But that wasn't enough and so after improving their overall record to 12-1-0 last weekend, Quinnipiac vaulted up the charts and is currently ranked as the 4th best team in the entire NCAA. Last night on The Pipeline Show we were pleased to speak with head coach Rand Pecknold who talked about how his team has managed to reach new heights this season. "A big part of [our success] has been our leadership, our captain is Jean-Marc Beaudoin (picture below) who played for Bonnyville [Pontiacs of the AJHL]. It's the second year in a row that we've had an Alberta kid as our captain." The coach talked about the fact that the Bobcats lead the NCAA in scoring although he admitted he wasn't exactly sure how they had achieved that feat. Since he mentioned that his captain is Canadian I decided to jokingly ask if having as many Canucks as possible was the secret to NCAA success. "Absolutely! We're about half and half as we get a lot of kids from British Columbia and Alberta... my Canadians, especially the Western guys, have been our pipeline, our bread and butter over the last ten or eleven years." The dual citizen coach talked about the recruiting process for his program and what some of the positives he feels there are for players who choose the Bobcats. Two recruits that will be joining the Bobcats next season come from the BCHL in twins Conor and Kellen Jones. The brothers play for the Vernon Vipers but had success at the recent World Junior A Challenge in Summerside PEI. Coach Pecknold touched briefly on the twins. "They are outstanding players; great motors, great hockey sense, they just go-go-go and we're really excited to get them. we'll be lucky to keep them for four years. even though they're not the biggest guys they are pretty dynamic and they're special players. with the way the game has changed in the NHL, these days size isn't as big of an issue is it used to be. We're very excited to get them and they sure will make an impact when they get on our campus next fall." There will be those who suggest that the Bobcats have benefited from a fairly easy schedule. I was in that boat a couple of weeks ago but as I explained to coach Pecknold, their recent success has started to win me over. Recent victories against Colgate, Cornell, Princeton and Massachusetts are proof that no one should take the Bobcats lightly. I asked the coach if he felt they were still having to prove the skeptics wrong. "I think you always have to do that. we're still kind of the new kid on the block in that this is our 12th year of Division I so we don't have the 50, 60 or 70 yeas of history like a Cornell or Boston University or Michigan. But we've had a lot of success over the last 12 years..."
Dean looked back on the season schedule to date and zeroed in on the one loss the Bobcats have suffered so far, an 8-5 setback against Robert Morris a day after shutting them out 5-0. Dean wondered if the loss might actually have been a blessing in disguise to make sure the team didn't get complacent in their success and the coach agreed. "I don't think we're taking anybody lightly and we're not getting too big for our britches but certainly we're getting a lot of attention. The #4 ranking is bringing a lot of media..."
There hasn't been a NHL success story yet that has originated with the Quinnipiac program but according to coach Pecknold, it's just a matter of time. "we've had guys sign NHL contracts but we just haven't had that guy break through. It's going to happen. We just played on Friday against Princeton and we had 20-plus NHL teams in the stands watching a couple of my seniors." The coach was referring to a pair of free agent seniors in Erik Lampe and Brandon Wong (above photo) who are having strong offensive seasons again this year. Wong, a B.C. product, leads the team in scoring with 19 points in 13 games and Lampe is right behind him with 18 points. Quinnipiac has a freshman that hails from our neck of the woods that we had to get the coach to comment on. Reese Rolheiser is a former Sherwood Park Crusader (AJHL) and has 7 points in 12 games so far this year which, according to the coach, has gotten better after a so-so start. "It was a little bit on an adjustment for him when he got here. To be honest with you, he didn't know how to play defence and struggled a bit with his competitiveness but the skill was there and he's been so coach-able, he's bought in and his improvement has been just amazing in the first two months." "In terms of keeping me here, it's a great job. I mean, I've got one of the best rinks in college hockey, I've got a five year contract which is always nice in the coaching world t- have job security. we live in a nice town, my wife has a good job. I'm not going to say it's the best job in college hockey but it's up there." We joked after the interview that things are so good in Quinnipiac that the Florida Panthers went out and stole their logo for their recently released third jerseys. Don't you see a pretty big similarity? To me it's a Quinnipiac crest slapped on a Springfield Falcons jersey and presto! (see below). There are still some tough dates ahead this year on their schedule, Yale this upcoming weekend for instance, but the Bobcats are well positioned to finish with the best record the program has ever seen. Can a return to the NCAA tournament be in the cards? I wouldn't bet against Quinnipiac and I'm not going to call them Cinderella either. Our thanks to Ken Sweeten for setting up the interview and to QuinnipiacBobcats.com for the photos of their team in action. You can listen to the entire conversation and get the rest of coach Pecknold's comments by clicking HERE!